Majestically surveying the pink sands and turquoise blue waters of Crane Beach from a cliff-top perch are Residences by the Sea. A unique blend of 19th century grandeur and 21st century convenience, these residences were specially designed to rival the stunning views, often called “the most beautiful on earth”. 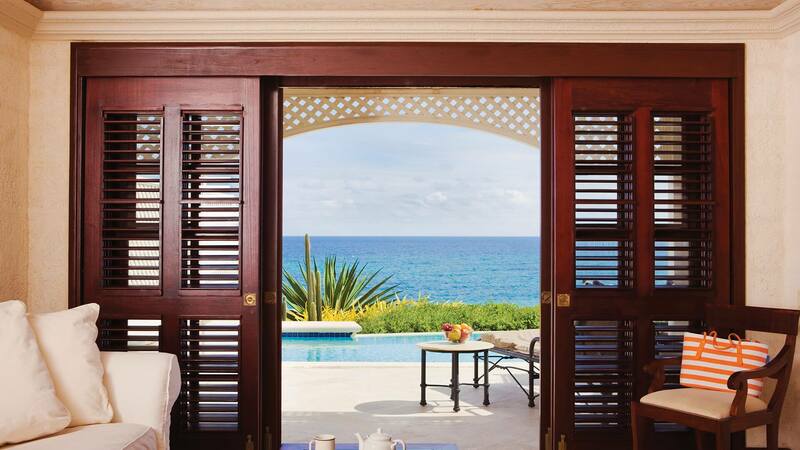 Extremely spacious, these oceanfront residences feature hardwood or stone floors, 12’ ceilings, authentic Barbadian furnishings and décor, and in most cases private ocean view pools. Also included are fully equipped kitchens or kitchenettes, perfect for dining in or for entertaining al fresco on spacious terraces. These superb residences, the first of which opened in 2001, set the ultimate standard in luxury oceanfront accommodation. You can inhale the atmosphere of the original ‘Crane Beach Hotel’ while appreciating spectacular ocean views. Here, charm and comfort is everything.